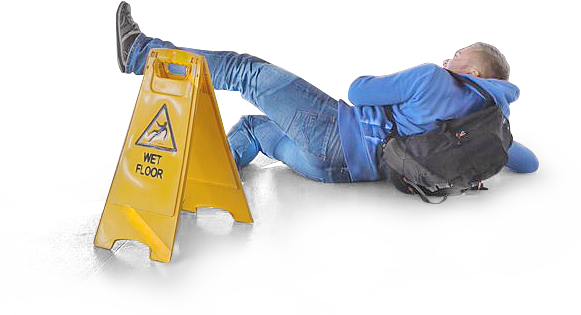 Slip and Fall Accident Attorneys Lynchburg, Virginia | Randall J. Trost, P.C. A slip and fall can cause traumatic injury to your body, leaving you in tremendous amounts of pain and stress, and that is only the beginning. Your quality of life can be dramatically affected by what you decide to do immediately following the unfortunate event that has left you injured. In this moment you must take charge of your well-being. The process seems overwhelming as you have never been through it before. How will you avoid the financial hardships this is sure to cause? You need an experienced attorney that specializes in helping victims through the process. Our attorneys at Randall J. Trost P.C. have been helping victims seek compensation since 1982. You don’t have to endure this process alone! We will dedicate ourselves to seeking justice in your case. Let us thoroughly investigate the facts, we will collect evidence to prove negligence. You will be compensated for your pain and suffering to the same degree as your injury. Our attorneys have been advocating for victims for over 35 years. We not only have the experience, but we care about each client. Each case is handled with extreme care and compassion. Let us conduct a free case review to tell you how we can help you. There is no time to delay. Many things must be considered when deciding to hire an attorney for your case. Evidence must be collected; witness interviews need to be conducted and you may be incurring loss of wages. Call today for a free case review! Injuries attributed to slip and fall accidents cause many types of injuries including: Broken bones, sprains, knee damage, shoulder issues, spine and nerve damage, or traumatic brain injuries. If you’re hurt in a slip and fall, you need to document your medical injuries carefully. Seek medical attention and have an expert create a record of your injuries. People who saw you slip or trip and fall may be useful in providing evidence about why your accident and resulting injuries occurred.